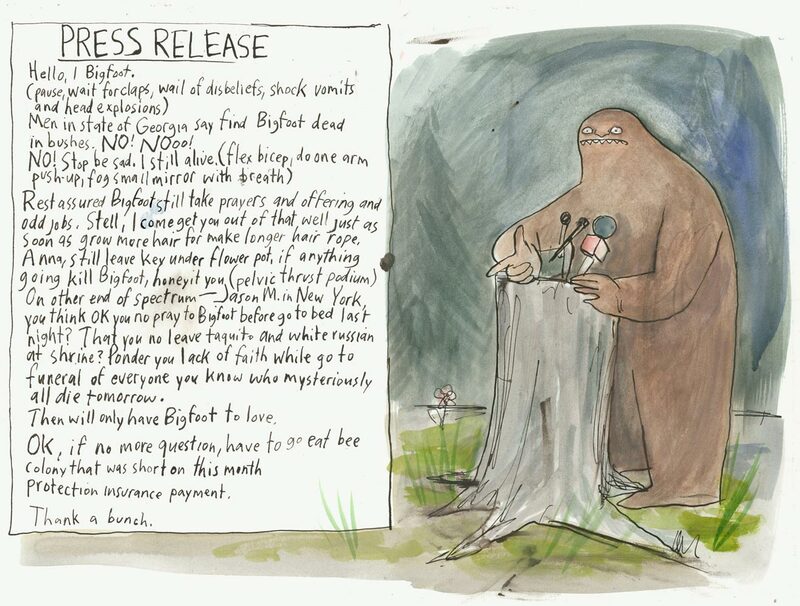 An unidentified source (oh, hell, alright, illustrator Graham Roumieu) sends us this press release issued by Bigfoot himself about recent cryptid news. Click for larger size so you can read all hims big talkings, which begin -- natch -- with "HELLO, I BIGFOOT." Imagine Cookie Monster's voice dialed up to volume 11, with a lot of reverb and bloodstains, and you can sort of hear it in your head.